The NodeJS service is fairly simple to create. 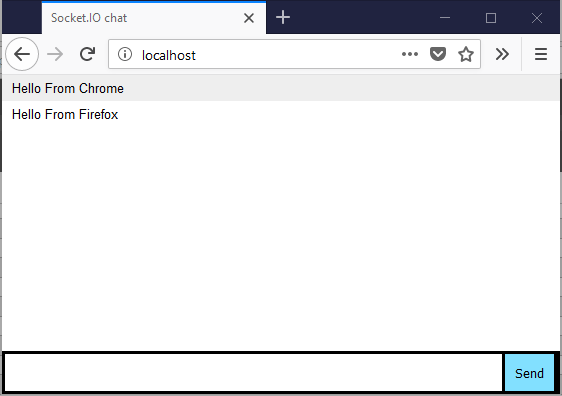 Just follow the Chat tutorial and you have a brand new Node JS server which can be reached at port 3000. For convenience, I switched over to port 80. After that, I dockerized the NodeJS server using this tutorial. After building and pushing the container was available in an Image repository. By default, internal ports in a Docker Module are not available from the outside. So if we would try to deploy the image to our gateway directly, we would have a SocketIO server unreachable for the rest of the world. Note: We can skip Module Twins and specific Routing for this module. It’s deployed by the IoT Edge deployment mechanism but not interacting with the other IoT Edge modules! So in the end, I have a NodeJS SocketIO Server running. And I can reach it with any browser on my machine. Nice. But what about programming our own SocketIO Client? The next step was trying to build a client in Visual Studio 2017. 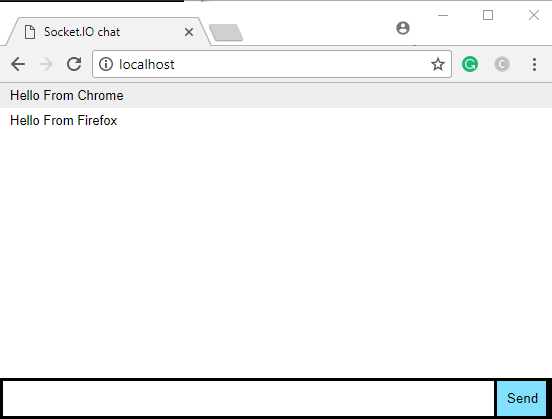 I have built a simple SocketIO client using the NuGet package “SocketIoClientDotNet”. What is going happening on the gateway? We see how the module is started and we see how the port is made available. Here we can see how the module is started, how three clients are connected and two of them are sending messages. 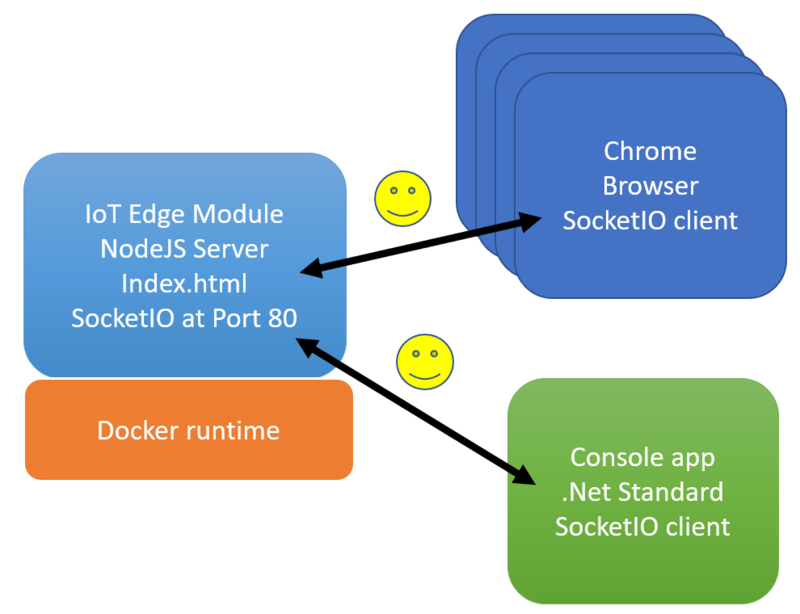 IoT Edge is not just designed as a plain distribution platform for Docker Modules. 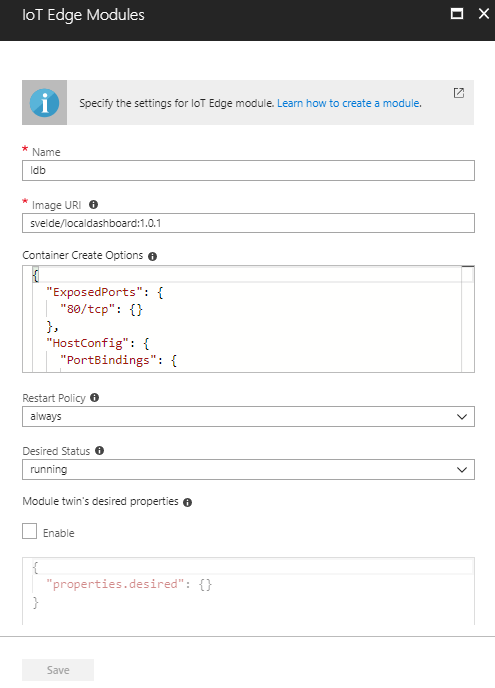 If you only use it only for this feature, you are missing out the real power of Azure IoT Edge. But this gives us a good insight into what Docker is capable of how flexible the IoT Edge solution is. 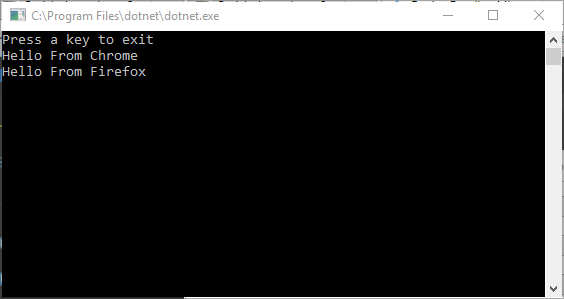 And I hope Microsoft will support NodeJS by default in IoT Edge. And by support, I mean supporting the routing and the Module Twin. This is a programming/deployment platform for many (IoT) users, I have shown the deployment is working, Microsoft only needs to make libraries available to interact with (standard?) inputs and (standard?) outputs and Module Twin. Come back shortly, for the second part of this story on how we can make use of NodeJS is a more meaningful way together with IoT Edge.